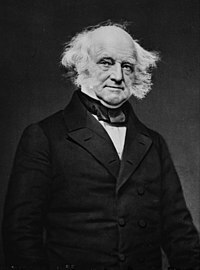 English: Martin Van Buren (1782–1862) is the eighth President of the United States and the eighth Vice President of the United States. Svenska: Martin Van Buren var den åttonde vicepresidenten och den åttonde presidenten i USA. Pages in category "Martin Van Buren"
Media in category "Martin Van Buren"